We all want to create the perfect blog posts, but the truth is that there is no perfect Blog Post. Every time I write, I read and read over and over again just to gain perfection for my Blog Post. Funny enough, no matter the number of times I re-read my Blog Post I always find something to either add or subtract. Of course, like every blogger I want to write Blog Posts that will go very viral and bring in much traffic. My thinking had always been that if I should write a ‘perfect’ Blog Post, then I’ll get my desired results. It is not unwise to want to write a perfect Blog Post. But is there really one? Just like the real me, I carried out my research on what really makes a Blog Post go viral and become popular. The results I got didn’t appeal to me at first but after I started to implement most of them I am happy that my research is not fruitless. Will you like to gain some Tips too? Checkpoint 1: Does your Blog Post have a catchy headline? Tip: Catchy headlines will definitely attract readers to check the Blog Post, so if you want people to actually visit your blog and check out your blog Posts, then you need to improve your headline writing skills and create compelling headlines. Checkpoint 2: Is your Blog Post introduction easy to read and attention grabbing? Tip: Your Blog Post Introduction is an integral part of your content and it is one of those factors that determine how successful your article will be. 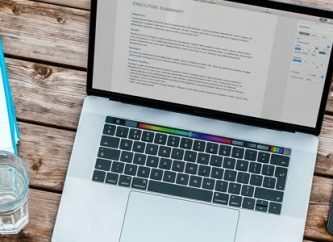 Your Blog Post intro will determine whether or not the reader will continue to read your article if your article introduction is compelling, the reader will surely love to read on. Checkpoint 3: How lengthy is your Blog Post? Tip: The truth is there is no rule for Blog Post length, your articles can be as short as 400 words and also as long as 2000+ Words like this Blog Posts; the most important thing when creating content is to give your readers the best! Put your readers first and make your articles interesting and detailed as possible. Even if your article is just a 400 word Blog Post, make sure it adds value to the life of your readers. Checkpoint 4: Are you positive and inspiring in your Blog Post? No = Write positive things in your Blog Post; don’t discourage the reader with pessimism. Tip: It is always great to be optimistic and inspiring to your readers. People love to read an article that gives them hope and proffer solutions to their problem. So write for them, solve their problems and make them happy. Checkpoint 5: Where did you place your most important points? Bottom = Well I’ll advise you place your most important points first because the reader may quit before getting to the bottom of the article. Tip: Place high priority on where to integrate your most important points into your blog Post but don’t overdo this by stuffing them at the top or in one place. Give your readers a little bit of suspense by dropping them bit by bit with the most important ones at the top. Are you ready to for more? Let’s move on friend! Checkpoint 6: Did you tell a short story in your Blog Post? No = Tell your readers a short story. Hmm, maybe your experience about a friend or another blogger. Tip: Stories are great! It creates a connection/bond between your readers and your blog Post, it keeps them from leaving and it makes them enjoy your article the more. But be honest with your story, you may make characters anonymous and make sure it hurts no one! Tip: The attention of most readers is usually drawn to the Bold parts of your Blog Post, so it is important to bold your important points. You could also do with the heading tags for your sub-topics and important points, the trick here is that you should make your important points stand out from other texts. Checkpoint 8: Is your Blog Post Interesting? Tip: You are probably wondering why you should do this. 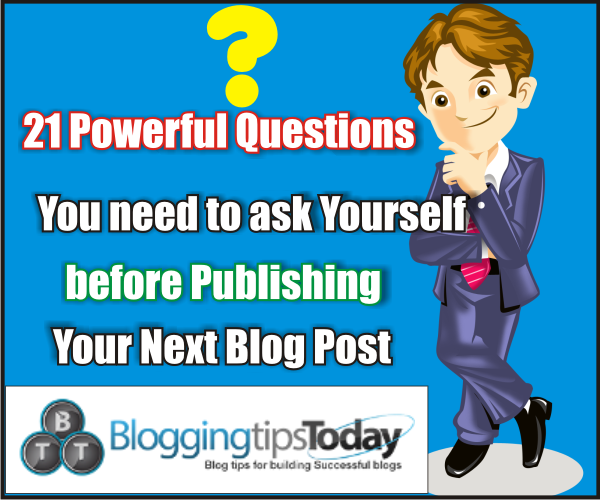 Well, it depends on you but I think it is better to make your Blog Post interesting and not bore the reader especially for lengthy Blog Posts. You can write rhythmic lines but don’t make it too obvious. Also, avoid repetition. Checkpoint 9: Did you promise an outcome in your Blog Post? Action: Yes = Excellent! Move on to next Checkpoint. No = Make them see a reason why they should read your article. Promise then an outcome of the reading your article. Tip: People want to have results after experimenting with the ideas in your Blog Post. If you do not give a reason why they should read the Blog Post, then why should they? Checkpoint 10: Is your Article Interactive? Tip: You certainly don’t want your readers to feel lost when reading your Blog Post. It is very important to carry them along throughout the Blog Post. Don’t use the word “I” too often, rather use the word “You” which makes the Blog Post personal to your readers and makes it look interactive. You can also do this by asking some rhetorical questions or write as if you are having a direct conversation with your readers. Friend, do you understand this? Checkpoint 11: Are there quick lists in your Blog Post? Checkpoint 12: Are there polar questions in your Blog Post? Action: Yes = Great! Move on to the next checkpoint. No = C’mon friend, you have to ask Yes/no questions just to carry them along. Tip: Polar questions push the reader to either agree with what you are saying or provide their contrasting view to it and likely drop their comments in the comment box; Polar questions always push your readers to give their opinions about issues discussed in your blog Posts. It is also very good in making them read your Blog Post the more. Checkpoint 13: Does your Blog Post show that you care about them? No = Re-check your article and make them realize you that really care about them. Tip: It is good for your readers to really know you are loyal to them just the same way they are to you. Show them some sign of care. You can do this by either sharing an experience with them like when you when once in a situation that they are now. Tell them what you did then you to overcome it and suggest to them what they can also do. You should also ask for their personal opinions concerning the Blog Post! Checkpoint 14: Did you show some sign of Expertise in your Blog Post? Action: Yes = Very good! You are a true expert! Tip: Please don’t abuse this because the result will just be as bad as you not using it all. It is good to make your expertise and make your readers believe in you. Over showing it will make them see you as proud, so be cautious on how you show it. Also, avoid using fake stats, report or fake claims. This is very bad and your readers will surely find out you are lying as time goes on. Checkpoint 15: Does your Blog Post reflect the true you? Action: Yes = Good! Move the next point Checkpoint! Tip: This makes your readers become loyal to you and see you as real. It will not be a good thing to do if you pretend to be who you’re not. Another reason why being very true is very important is that it makes you gain more traffic when people have trusted in your Blog Post and your actual self. Checkpoint 16: Have you asked anyone to read your Blog Post? No = Give your Blog Post to someone to read before you publish? Tip: Before you publish any article on your blog, it is always good to give it out to people to read and ask for their reactions because they’ll probably feel the same way your readers are likely to feel. Take corrections from them! Checkpoint 17: Did you include short sentences for impact? 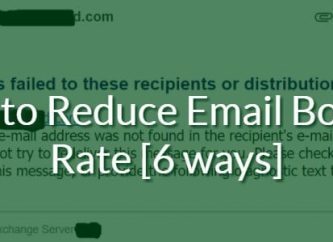 Tip: short sentences are good for laying emphasis on some points. Sentences like: What do you think? Drop your comment about this are cool for driving engagement. Checkpoint 18: Have you re-read your Blog? Action: Yes = Okay! How do you feel about it? Maybe it needs some little changes? No = Read the Blog Post loud to yourself and pretend you’re the reader reading. Tip: Apart from the fact that re-reading your Blog Post allows you to detect some errors, it also put you in place of the reader and brings out your own true reaction to the Blog Post. Checkpoint 19: Is your Blog Post unique? Action: Yes = Then you should be ready to click ‘publish’! No = I’m afraid your Blog Post may not make any great influence. Friend; please make your Blog Post unique! You don’t have to copy anyone! Tip: The era of copied contents and duplicate contents is over the friend! Your ideas may not be new but the way you present them matters a lot to the success they’ll attain. Let your articles just be different! Stand out in your Blog Post and await the traffic rushing to your blog. Like a friend once told me “if content is king, then uniqueness should be its queen”. Checkpoint 20: Have you interlinked your old Blog posts? Action: Yes = Great! You have just enhanced your blog SEO. No = Am sorry, you need to do this because it is very important. Tip: Interlinking is a great strategy for building links to your old blog post, it will help your blog overall SEO and it will also help to reduce your blog bounce rate by keeping readers glued to your blog. Checkpoint 21: How well is your Blog Post formatted? Tip: For me, the layout of the Blog Post really matters even when some people think it does not necessarily mean a lot. A bad layout may piss the reader off even if the content is excellent. 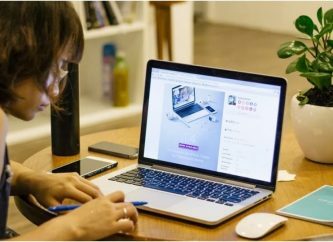 A good layout makes reading your article easier and fun; just take a cue from this particular blog post that you are reading. Do you like this post formatting? Do you think the layout is something to worry over? Please tell me your opinion in the comment box. Content creation is not an easy thing, we all need to keep improving ourselves and keep make our new blog posts better than the previous one. I hope the tips that I have shared in this post will help someone out there create awesome contents on his/her blog. Don’t forget to answer all the questions I threw at you in this blog post in the comments. I will be expecting all your answers and opinions! Have a great day! Joseph is a Web Enthusiast, a Tech Lover, Writer and an Internet Para-Addict!.I am the Founder of Blogging Tips Today. I love to write about Blogging, SEO, Internet Marketing and Technology.